Hi! 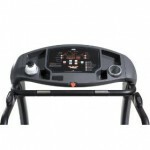 Let us take a look this Monday at the Evo 1 Treadmill. This is a residential model though a non-folding one. Let’s get straight to the specs. 12 Built-in programs – 3 Preset and 9 user profiles which include Manual, Target Distance, Target Time, Target Calories, Killer Hills, Speed Intervals, 5K self completion, 3 Preset Time Programs, Heart Rate Control. In addition to this, the Evo 1 treadmill comes with a lifetime cover on frame, motor, and all parts except labor which is covered for a year. The running deck is exceptionally large and caters to tall joggers, walkers and runners. It also has innovative Motion Control that adjusts speed without using the console. The Evo 1’s LED console is an ultra clear one and features a ¼ mile running track. It has bottle holders and the optional Smooth speaker systems. Evo 1’s Swing Arm Shock Absorption allows for a soft foot strike on the front of the belt and a firm push-off, providing minimal stress to the ligaments. However, there is a lot of difference between a new and a refurbished Evo1. I suggest if you like this treadmill, go for the new one, which is priced at USD 2399. Buy a Evo 1 Treadmill from Amazon.com. Buy a Evo 1 Treadmill at eBay.com. 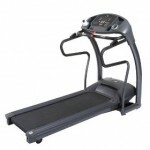 Compare prices of the Evo 1 Treadmill from various retailers using Bizrate.com.